SPACE 2017 will be 30 years old this year, and strongly reflects the dynamics of its sector. The “Planet Livestock” will again mirror what is happening in the livestock sectors. 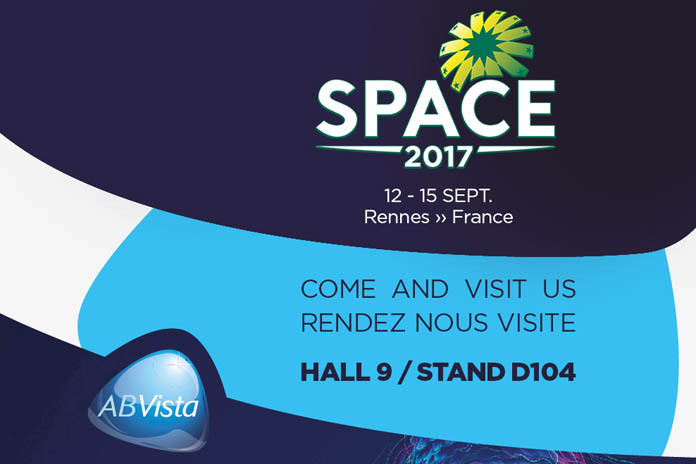 AB Vista will be showcasing its range of innovative animal nutrition technology products and services at the company’s stand (Hall 9, Stand D104) during SPACE 2017, to be held in Rennes, France, from 12-15 September. “SPACE 2017 is a great opportunity for existing and potential customers to discuss how the use of high doses of Quantum Blue releases inositol and valuable nutrients by unlocking the six molecules of phosphorous producing substantial performance gains in both poultry and pigs”, states Juan Ignacio Fernandez, AB Vista’s Sales Director for West and South Europe. Quantum Blue, developed specifically to maximise phytate destruction, is the most effective phytase on the market and superdosing has rapidly been adopted across Europe. “Quantum Blue is currently delivering significant improvements in formulation costs, feed efficiency and return on investment for AB Vista customers throughout the region,” adds Dr Xavière Rousseau, AB Vista’s Technical Manager for France. Customers can also learn more about Econase XT, AB Vista’s intrinsically thermostable xylanase, and how enzyme heat stability studies have shown that applying it directly to mixer liquid application systems (MLA) can achieve greater results. Econase XT ensures optimal NSP breakdown, releasing as much energy as possible to deliver improved FCR and cost reduction. With proven results across a wide range of feed ingredients and in poultry and swine, Econase XT is the optimal xylanase for maximising energy utilisation of the diet. AB Vista invites SPACE delegates to come and see the company on its stand (Hall 9, Stand D104) throughout the three days of the show, where a range of aperitifs will be on offer. Agritech wheeled screw conveyors are suitable for transporting cereal, animal feed and industrial materials and for the silos filling. They are fully made in deep hot galvanized steel, including threephase electric motors 380 V. 50 Hz. at the base, big receiving hopper mm. 1000 x 2000 (with adjustable inclination), security grid, reversing switch and lifting gear, with adjustable trolley. – Less bolts in the main body, which means no water seepage in the bin and no risk of feed degradation; One heavy duty steel ring provides strong support to the full silo body, and four deep Hot Galvanized Tubular Legs On All Models. 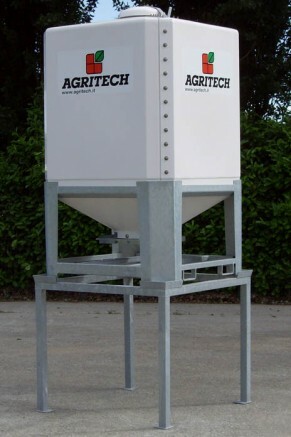 Agritech is proud to present a new range of Fibreglass bins for the storage of different bulk products, that is compound feeds, alimentary products, granular chemical products, plastic granules and wood pellets. White colour or other colours on request. Complete with transparent strip for product level check, top lid with manual opening system from the ground and slide gate. 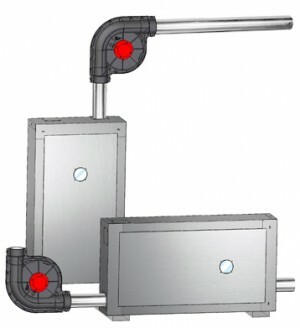 Capacity mc 3 – Dimensions 1200 x 1200 x 2650 mm. Silo CUBO can be easily loaded on standard lorries by means of elevators or cranes. A new Fiberglass shelter for calves, the AGRIBOX 10. Calf shelter Agribox10 has been designed to host 10 calves from 2 to 6 months of age. It’s equipped with a large aeration windows in the rear side and a large entrance in the front. Available without or with a galvanized metal fence and with several accessories such as: hay racks, feeders, bucket holders. The Agribox 10 is extremely resistant to mechanic stress, it has an excellent thermal insulation and it’s absolute tightness to rainwater, environmental agents and UV-radiations. 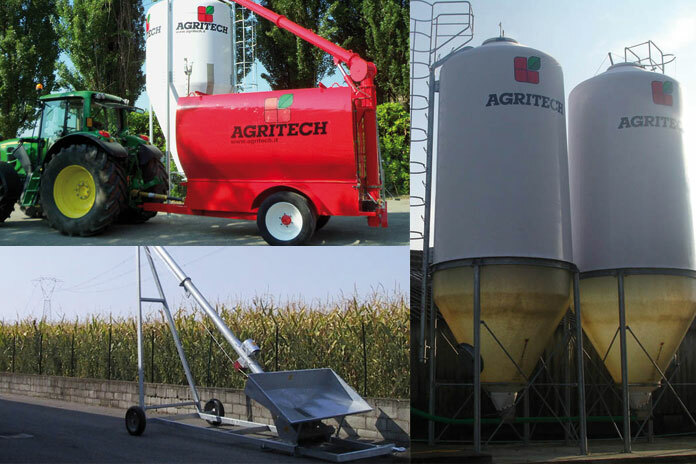 Agritech designs and manufactures tanks in robust painted steel for the transport, the handling and the discharge of feed and cereals. The company can supply a wide range of capacities to satisfy the customers. The portable tanks with auger discharge mod. AG allow the transfer large quantities of feed and cereal from a mill to the storage silos in a farm. The bulk products are loaded through the top through a side sliding roof and the discharge occurs by means of a diam. 200 mm. Auger. The discharge auger can reache a height of 8,5 meters and it will empty a tank in 20 minutes. The lifting and 360° rotation of said auger is to be obtained manually or by means of an hydraulic system on request. Two chamber versions for two different products are available on demand too. Arion Fasoli srl, for nearly 50 years in the poultry sector, will be present at the Space Fair, as every year, Hall 10, Stand A01. We believe in this exhibition, attracting so many relevant participants from Africa, a market, which Arion Fasoli is very interested in. We will display our new range of products which allow meet our customers’ requests at our best. We look forward to welcoming you at our stand with new opportunities. Aviagen® look forward to welcoming customers to their booth Hall 10A, Stand B30 at SPACE 2017. As they continue to promote their Global Reach Local Touch philosophy, Aviagen specialists from both local and global regions will be there to meet you. The company will be representing their core product brands including Arbor Acres®, Indian River®, Ross® and the Rowan Range®. 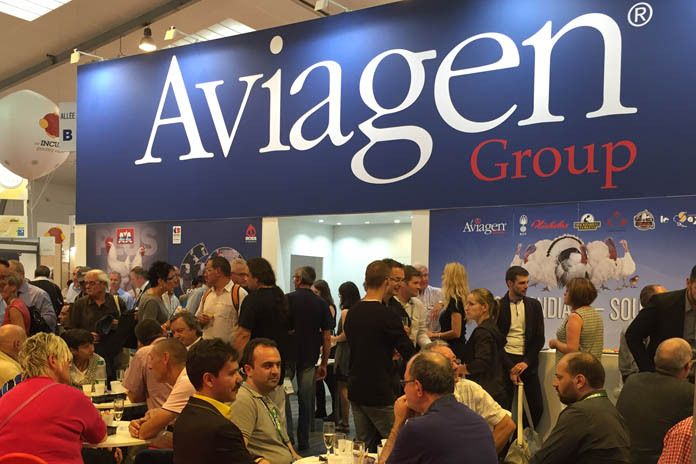 Aviagen® Turkeys will have representatives at SPACE 2017, promoting the B.U.T. and Nicholas brands which are recognised around the globe as marks of quality and superior performance. 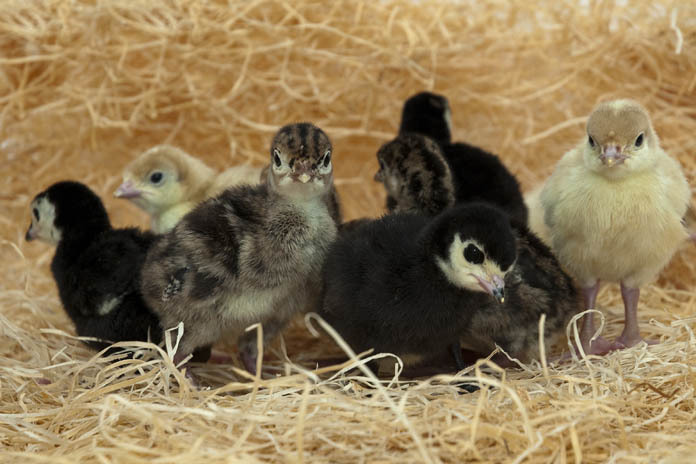 Whilst supporting these product brands, Aviagen Turkeys has developed a unique Medium Bronze breed that has gained a high demand from customers in Europe. AZA INTERNATIONAL is an Italian worldwide manufacturer of pig and poultry feeding systems and conveyors working with chain, cable and flex augers. At the Space show in Rennes, AZA INTERNATIONAL will display its new range of innovative and high performance linear trough feeders, feed pans and high capacity conveyors. 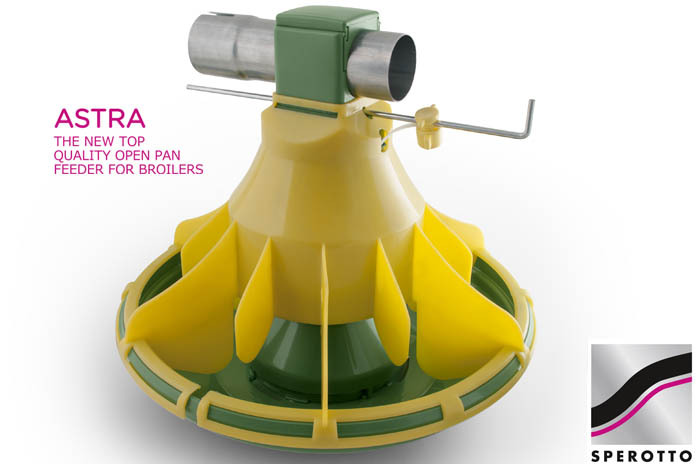 In particular, AZA INTERNATIONAL will focus its attention to those farmers with breeding mixed cycles of broilers and turkeys typical in this area of France and in some African countries for whom the new MIXTA feed pan has been conceived. MIXTA can also be used for ducks, it’s easy to manage and can be used for one day-old animals up to the last breeding day. The pan is provided with automatic feed adjustment, it’s very easy to assemble, manage and wash. The fast opening of the bottom pan allows the operator to wash deeply the pan even inside the rubber cone reaching the closer assembled around the tube. MIXTA is the best solution for farmers looking for a multi-purpose solution. DUO is another practical solution proposed and patented by AZA INTERNATIONAL which joins feed and water together. This system is used for broilers from the first to the last breeding day. The low height of the bottom pan allows even one-day old chicks to eat inside the pan. The DUO system gives relevant advantages as chicks can easily find feed and water and more space is available inside the house for the birds. For layers and breeders the best choice still remains the BREEDAZA linear trough feeding system and the newest SELF-DOSY, specifically designed for roosters. The pan allows immediate and controlled distribution of the feed in all the pans avoiding the installation of expensive weighing machines, cells or any other complicated device. Another important innovation is the new range of high capacity conveyors available for tubing Ø 114 mm whose hourly capacity can reach 15 cubic metres/hour. 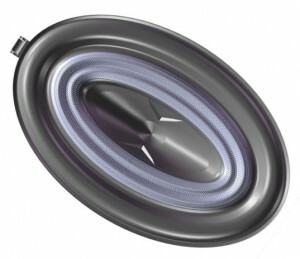 They are manufactured from stainless steel and high resistance plastics to guarantee competitive and reliable products. These systems are suitable for the loading of the cages or for the transportation of huge quantities of feed. They represent once more the long experience that AZA INTERNATIONAL has gained also in the industrial sector with the transportation of granules and powders where systems are made fully on demand and can reach the hourly capacity of 60 cubic metres/hour. Big Dutchman looks forward to introducing several innovations at this year’s SPACE. One of these innovations is MaleChain for broiler breeder management, the world’s first chain feeding system exclusively developed for males. It consists of one entire chain circuit in a single trough – that is why it does not require much space. Because of the sharp-edged and moving chain, MaleChain is ideal for males with untrimmed beaks. It wears down males’ beaks in a natural manner. The pendulum PickPuck for barn and free-range egg production will also be on display. The aim of this newly developed product is to enhance animal welfare by using the birds’ natural beviour of searching for feed. This keeps the birds occupied since the innovation remains permanently interesting. PickPuck is available in the litter area 24 hours a day. Using it permanently also wears down the layers’ beaks and promotes their natural scratching behaviour. PickPuck consists of a swinging plate with a coarse surface and is suspended below a drop pipe containing an attractive feed such as wheat. 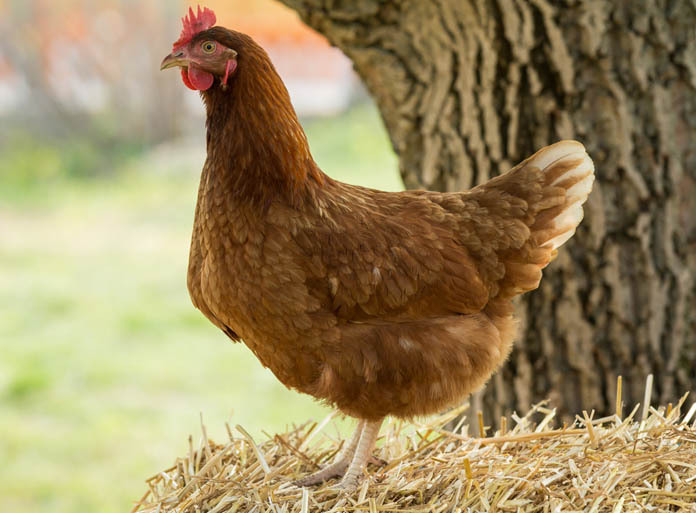 When a hen picks onto the plate or nudges it from the side, this movement dispenses a small amount of feed that the hens can then ingest. 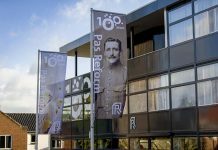 After celebrating the first 100 years of Cobb in 2016, the company is now looking ahead to increasing investment to grow in Europe and in markets across the world. 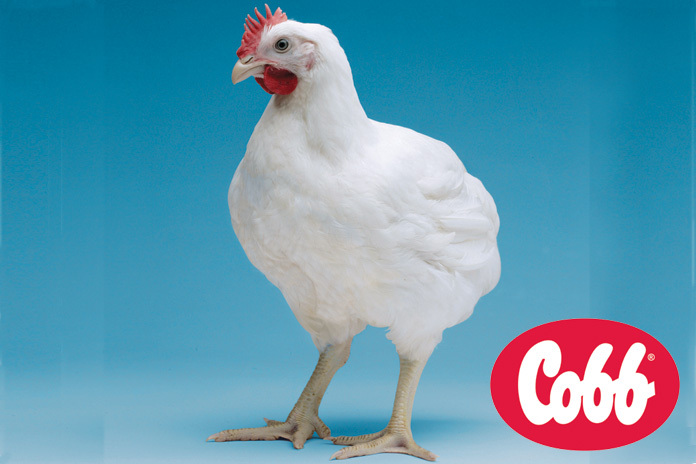 The breed strength of the Cobb500 is recognized globally and in France it is the uniformity and high meat yield of the Cobb500 broiler which is particularly valued, as well as the advance in feed efficiency and livability. 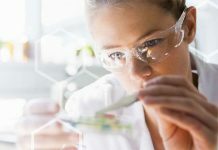 Within Europe major investment has been made at the research and development complex at Herveld in the Netherlands where more than €15 million has been spent in doubling the capacity to continue enhancing the genetic potential of the Cobb500 broiler breeder and in developing other lines for the future. 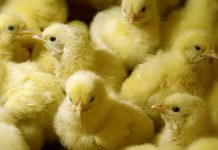 There is ongoing expansion, too, in increasing farm and hatchery capacity to supply grandparent stock for markets across Europe, the Middle East and Africa. Winner of innovative technologies prize award at Feria Internacional de la Producción Animal – Feria de Zaragoza. This year Officine Facco & C. S.p.A. will take part to Space Rennes, France, one of the most important animal fair in the world – from the 12 until 15 September 2017. 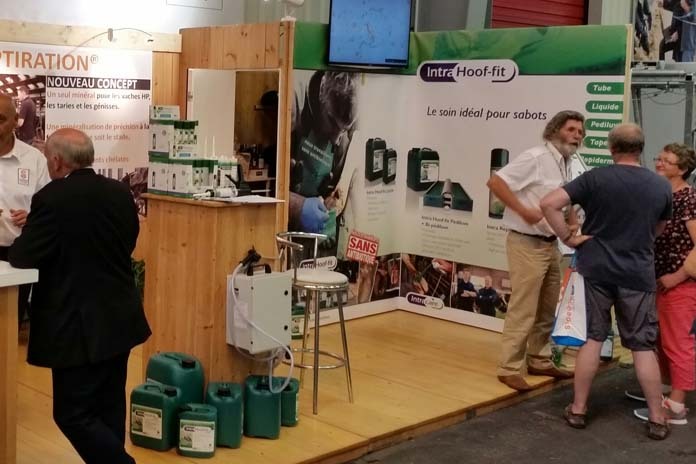 Participation to the “ SPACE” Agricultural Show in Rennes always represents an excellent opportunity to spend some days in an interesting and challenging environment in contact with growers and the poultry industry in general. 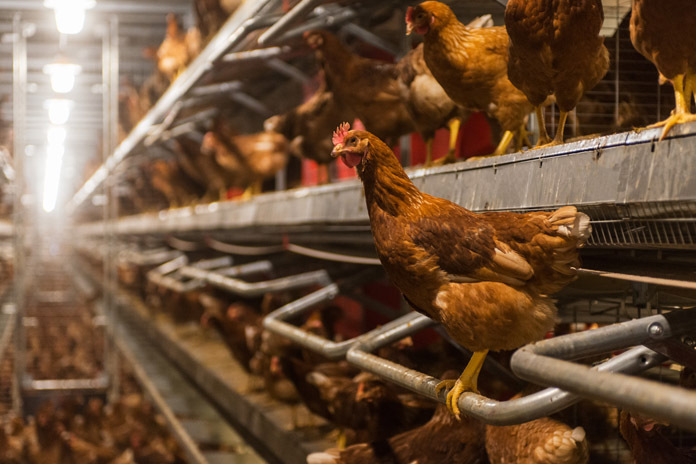 The growing demand for eggs produced in alternative systems and the housing and equipment changes that are needed to meet this demand must be fully understood as we set about changing the whole supply chain structures. The FACCO company will be at SPACE in Rennes exhibiting their new LIBERA CAGE FREE winner of innovative technologies prize award at FIGAN Feria Internacional de la Producción Animal – Feria de Zaragoza. FACCO has always been sensitive to market needs, and it is according to this background that has been developed the convertible equipment capable to satisfy the conditions for production, compliant with EU legislation requirements, USA Standard but also worldwide rules on the welfare of laying hens. The new “LIBERA” Layer Cage-Free System is the result of a long research and durable experience in building systems all over the world that offers the maximum stocking density in cage-free housing as well as the ability to be a cage-free or conventional system. The new solution is born from the need to contribute to the production of eggs that comply with the regulations of the “alternative systems” and the growing consumer perception for healthy eggs laid by cage-free systems hens. 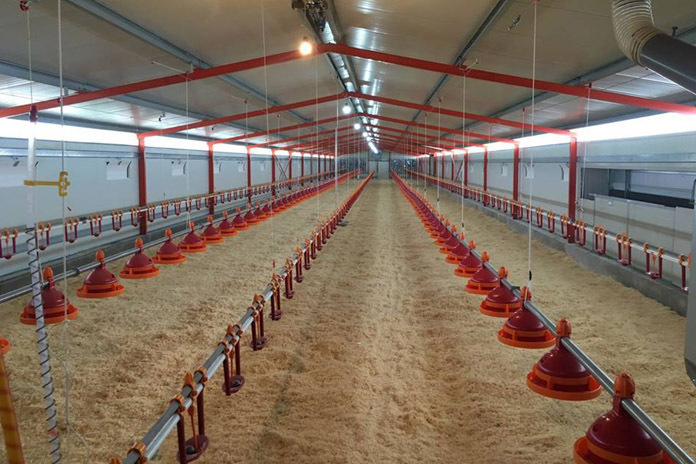 FACCO’s cage-free system is designed to achieve poultry houses with high quality life standards, and in the same time we can obtain flock performance and managing costs almost the same as traditional cage systems thanks to house management and in the specific case ventilation and lighting system. Giordano Poultry Plast (www.poultryplast.com), a leading multinational plastic moulding company, specialized in the production of poultry equipment, in collaboration with the local distributor SARL JOSSE will be present at the upcoming edition of the professional exhibition SPACE 2017, which will be held in Rennes, from 12 September to 15 September 2017, at the stand n. B24 – Hall 10. Established in 1962 under the name of Avicolplastica and starting from 1974 as Giordano Poultry Plast, a handicraft company specialized in plastic equipment for poultry farming, the company has grown regularly over more than half a century to reach a very international dimension, both in sales and in production. The product range, probably the largest in the world dedicated to professional poultry sector, covers all areas of production, from livestock to transport, from incubation to vaccination, to the handling of final poultry and egg products. The innovative use of plastic material has provided significant added value to the company’s production, in terms of practicality, lightness, environmental sustainability, hygiene. 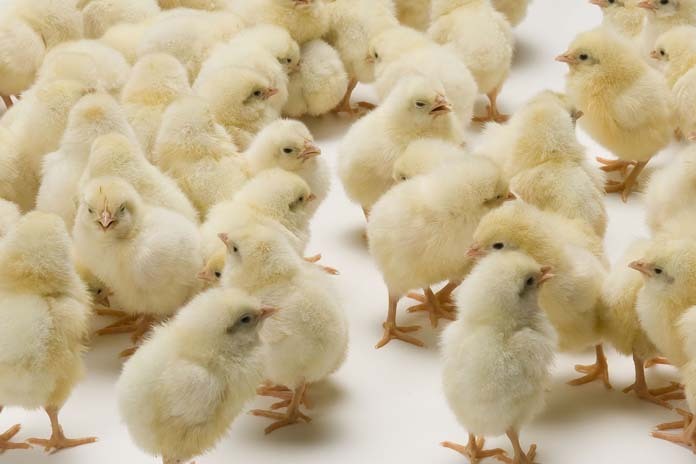 To these advantages, new innovations have recently been added, such as the ability to electronically trace some equipment at the poultry farms’ interior or the addition to plastic materials of active antibacterial ingredients. The headquarters of the Company is located in Italy, in Caraglio (CN), where more than 80 people are employed, the production subsidiaries are in Mexico, Argentina, Egypt and Malaysia. The Giordano family totally controls the group, with Osvaldo Giordano, President and sons Oscar and Enrico, Managing Directors. 95% of the group’s production is exported to more than 65 countries. With the occasion will be presented the latest products, such as the new automatic lines of drinking and feeding system for broiler and turkeys. Hendrix Genetics provides genetic solutions in layers, turkeys, swine, salmon, trout and traditional poultry. Our aim is to create value, while focusing on collaboration, innovation and sustainability. At Space, we will present our growing portafolio of leading brands and products. The new ISA Medium laying hen is developed especially for French egg producers. The same counts for a new turkey in our Hybrid range. Under the Hypor brand, we launch the Libra*. And last but not least, our own bred guinea fowl is now widely available, the Caringa Nimba. Hubbard’s Conventional Range with good egg production, feed efficiency and total meat output offers the best answers to the conventional poultry industry on breeder and broiler level. 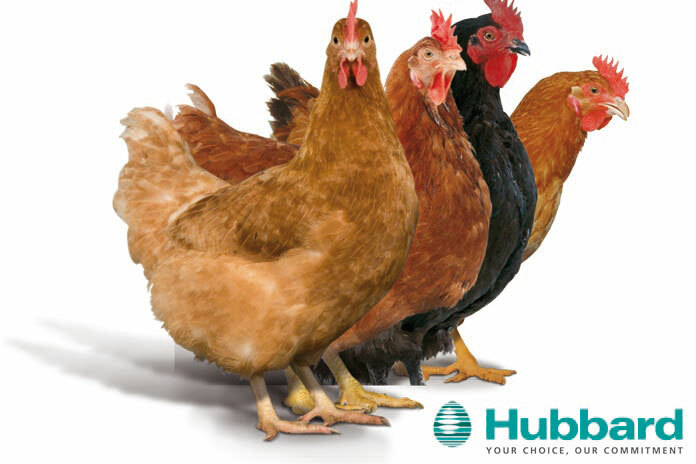 The Hubbard Premium Range is the natural choice covering all needs for the high-end quality chicken meat markets and is a very good response to increased consumers’ demand for improved animal welfare standards and reduction in use of antibiotics. Hy-Line Brown is the world’s most balanced brown egg layer. This hardy layer has unrivalled feed efficiency, the best interior egg quality in the market, superior egg colour and excellent livability. This makes the Hy-Line Brown the perfect balance, which means more profit for the poultry producer. With the Hy-Line Brown, W-36, W-80, Silver Brown and Sonia, Hy-Line delivers a bird for every market – every climate, every housing system, every country. Visit us during the SPACE exhibition at the Hy-Line France booth in Hall 10, booth B34. Meet our team at SPACE 2017! Do you want to achieve the highest possible production results in your rearing and aviary production? Visit our booth at SPACE and get advised on how to optimize your poultry production. Hens placed in an aviary system need to move through the system to find water, food and the nests. Therefore, it’s crucial for pullets to learn to jump and fly from day 1. That’s why Jansen Poultry Equipment developed the NivoVaria® rearing system. The NivoVaria rearing system has fold-away and winchable platforms with feed and drinking lines, making the system easy to adjust to the development of the pullets. 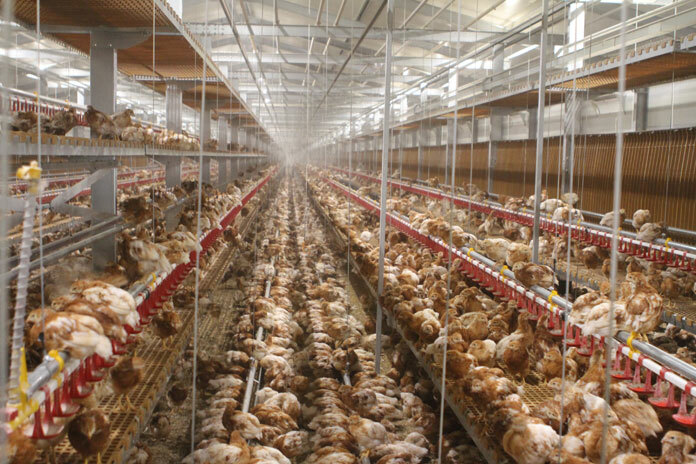 At the start, all platforms are placed on the central slatted area and the foldaway platforms are in a vertical position, so the pullets are enclosed in the central slatted area. 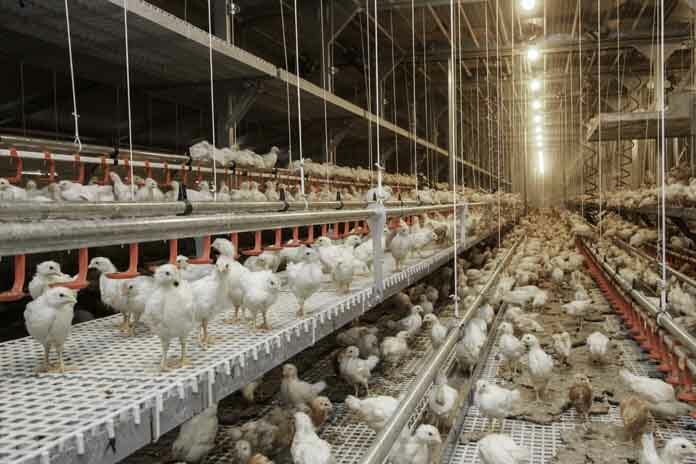 Over time, the platforms and feed and drinking lines are raised to various levels, so the pullets gradually learn to go up on the platforms. The designated plastic rearing slats are specially designed for the NivoVaria system. They provide the right support for the legs of the pullets and are unattractive to mites. The electrically winchable lines are made of a special, non-extensible nylon cord and ensure that the platforms remain perfectly suspended in horizontal position during the whole life circle of the system. The bottom part of the rearing portal is made of stainless steel, contributing to a longer life time. 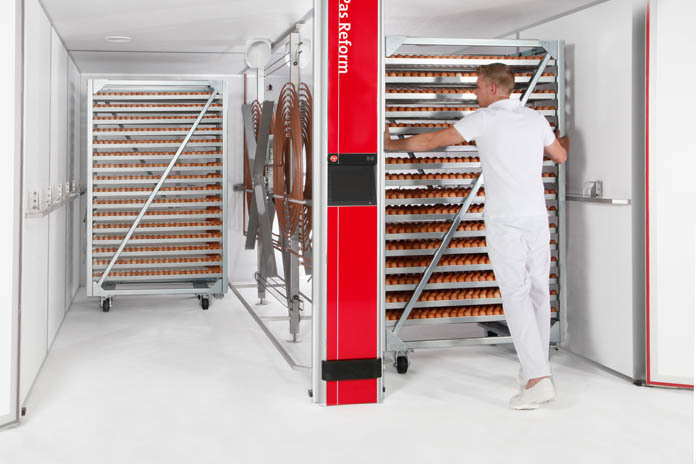 An integrated approach for the production of cage free consumption eggs aims to create extra value by achieving maximum production in the most efficient way. Efficiency starts by ensuring great performance of the hens. The system meets the needs of the animals and the right management contributes to the performance and thereby the quality of the egg production. This great production gets even more added value by preserving the quality of the eggs during transport and handling. Jansen Poultry Equipment offers complete solutions for maximum egg production and egg handling. 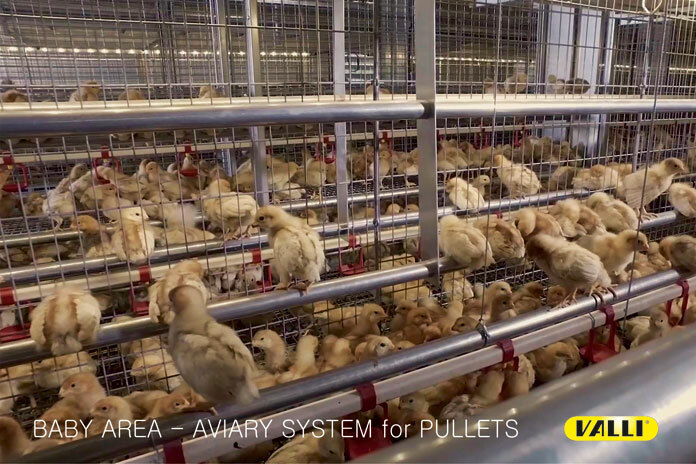 With the ‘Comfort 2®’ and ‘Comfort 2 Inside®’ aviary systems, Jansen Poultry Equipment created systems that meet the needs and capabilities of the animals so they can perform optimally. These multi-tier systems enable to achieve a higher stocking density. 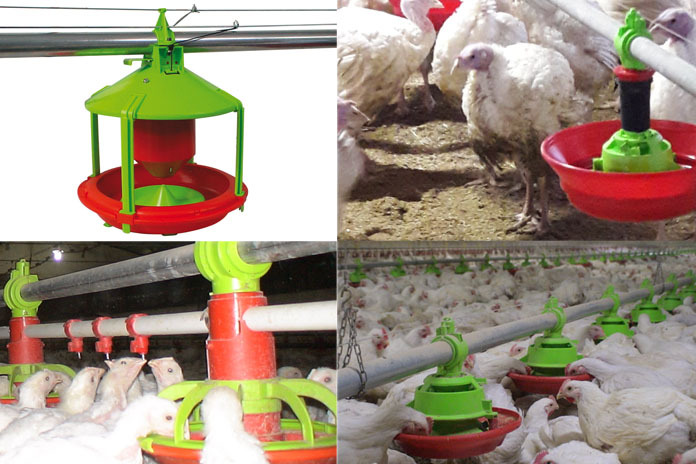 Jansen Poultry Equipment is specialized in complete projects for your poultry farm. We have successfully introduced our knowledge and products throughout the market in the world for the last 30 years. During those years we have built a strong network that supports our clients worldwide. Jansen stands for professional service and high quality products. 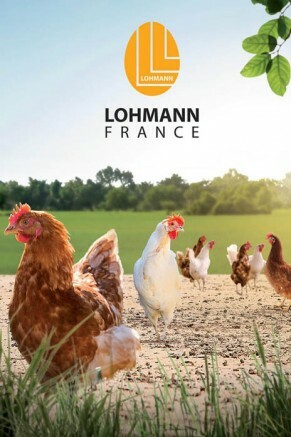 Lohmann France is a leader in the marketing of hatching and day-old chicks intended for laying hens eggs for consumption. The characteristics of these layers contribute to achieve an optimal level of production in different way of production. 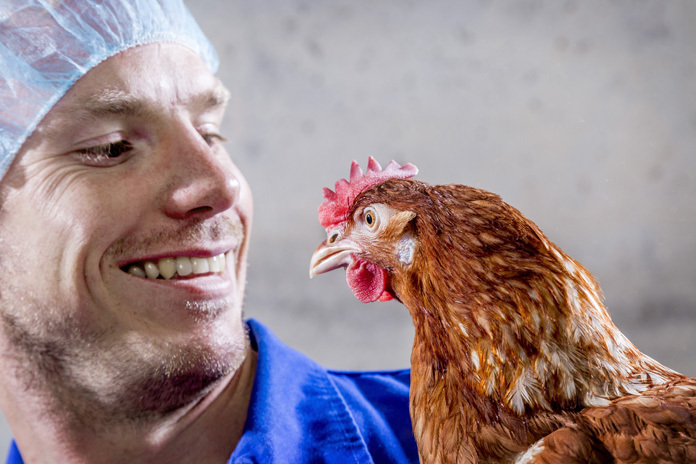 Our products and services are shaped by partnerships with leading integrations, poultry specialists, breeding companies and research institutions – in more than 100 countries around the world. The company has earned its position as one of the world’s leading hatchery equipment manufacturers, through decades of research into the biological and physiological aspects of embryo development, combined with a thorough understanding of all aspects of the poultry production chain – and a dedicated focus on the future. 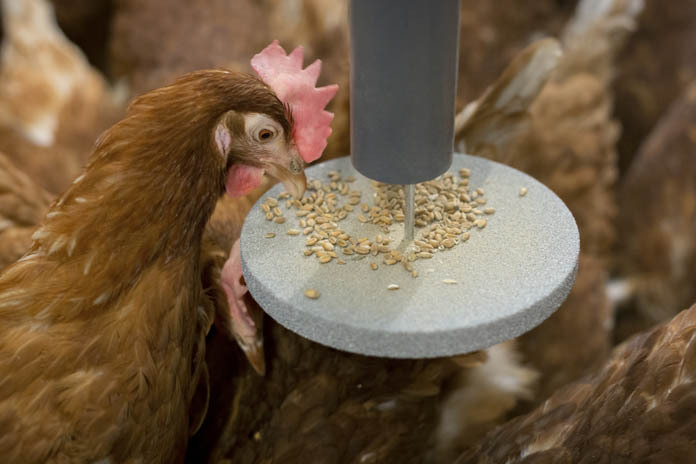 In order to meet the upcoming animal welfare regulations and requirements of the poultry market Roxell introduces the Natural Beak Smoothing concept. The beak growth of broiler-breeders will be controlled while eating. Birds will be fed and in the meantime their beaks will be smoothed by the rough structure of the Roxell pan feeder. This natural solution avoids stress on the birds, improves the performance of the birds and implements in an easy and intelligent way the animal welfare regulation on the poultry farm. SKA has been manufacturing complete solution for the poultry industry for over 60 years. With two production plants in Italy, we are first and foremost a real manufacturing company, and the ideal partner for your expansion, no matter the size. We have been supplying efficient, custom-made equipment worldwide, and we are able to meet any specification set by local regulators, from backyard operations to fully integrated farms. At SPACE SKA will be exhibiting the complete range of its products and in particular ATHENA, the multilevel system for rearing layers for production. This solution allows the birds to move freely within the house, getting them used to jump on various levels to access water and feed. *Easy to assemble and install. *Can be adapted to any existing house. *Central slats controlled by electrical winching system. *Structure mainly in laminated steel, easy to wash.
Sperotto Spa is proud to present its brand new broiler pan feeder just released on poultry markets. 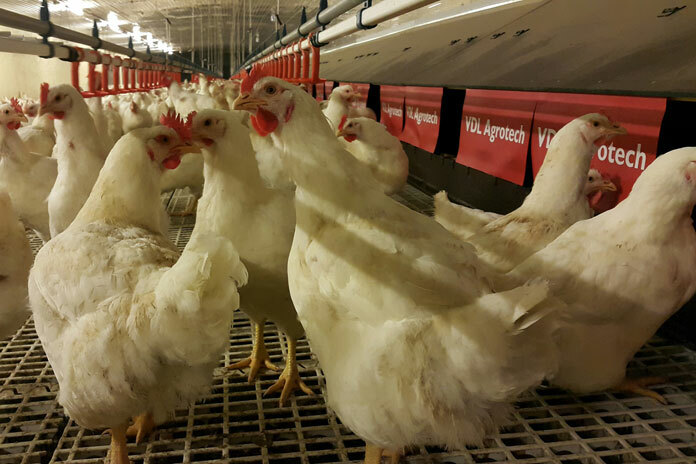 Several hard tests inside our customers’ broiler houses have demonstrated excellent results achieved by ASTRA. An open pan that gives to birds a very easy access to the feed, at any phase of breeding cycle, thanks to its optimal feed intakes. The height and design of this pan feeder guarantee an efficient start-up of the flock. When the feed gets to maximum level inside the pan, ASTRA allows a perfect feeding to day old chicks, without need of manual intervention. Thanks to the patented centralized regulation of feed level inside each pan, the farmer can easily administrate anytime the ideal quantity of feed to birds, according to their age. The flaps inside the pan prevent the animals from getting into it. As a consequence the feed remains clean. The anti-waste edges minimize the feed waste, guaranteeing the best feed conversion ratio. The bottom of the pan can be opened to facilitate cleaning operations without the necessity to disassemble the entire structure. By unscrewing the lower cone, the residual feed can be easily removed. The setting of the minimum feed level inside the pans brings less weight on the suspension cables, and thus it is possible to obtain a more precise setting of the height of the pan feeders. Motor unit installed at the head of the line, also to facilitate maintenance. SPEROTTO Spa is constantly focused on the growth of worldwide poultry markets. 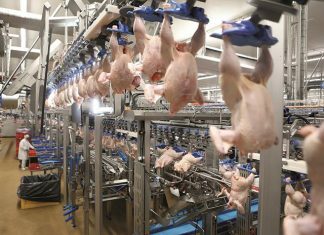 Especially in Africa, Europe and Middle East, SPEROTTO is continuously supplying turn-key poultry projects of any size and dimension. Our products portfolio is definitely suitable to meet the needs of any poultry farmer. We manufacture both prefabricated houses and state-of-the-art poultry equipment. Starting from feasibility studies, project engineering, designing, manufacturing and installation and commissioning we are able to carry out complete turnkey projects of any complexity. Our experience coming from over 53 years history spent in the poultry business can present ourselves as one of the leading Company worldwide. SPEROTTO is a reliable supplier for any farmer who requires the best technologies for his broiler, layers, breeder or turkey houses. 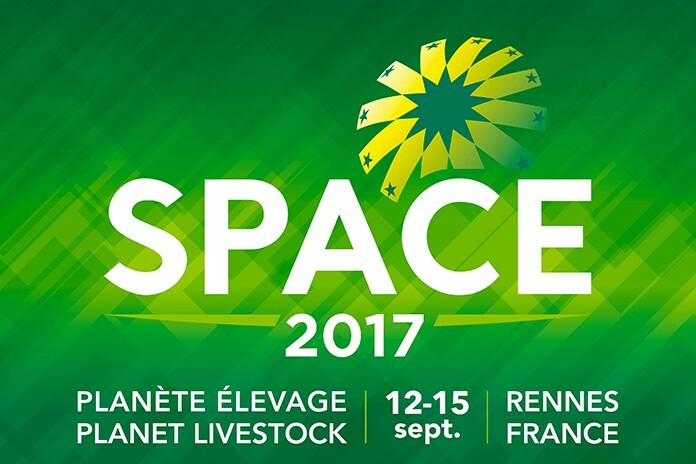 Bábolna TETRA has been a long-term exhibitor in one of the biggest animal trade show in Europe; SPACE, which will be held in Rennes, France between 12-15 September 2017. This year the company will continue to promote the wide range of its brown egg layers, suitable for cage and cage-free management systems. During the show, their new PS management guide for TETRA-SL LL will be also introduced. The extended nutritional recommendations will help farmers to reach the maximum genetic potential of their TETRA stocks. The company is aiming to further increase its PS distributors in the area, as well as offering various dual purpose and coloured layers for the alternative markets. Our friendly and professional sales team as well as representatives of TETRA France will be delighted to meet new and existing partners in Hall 10A, Stand A10. This year marks Bábolna TETRA’s 50th anniversary of providing layers with superior genetic background to the industry. The company offers a bird for every market and management systems, along with an effective technical support in almost 50 countries. 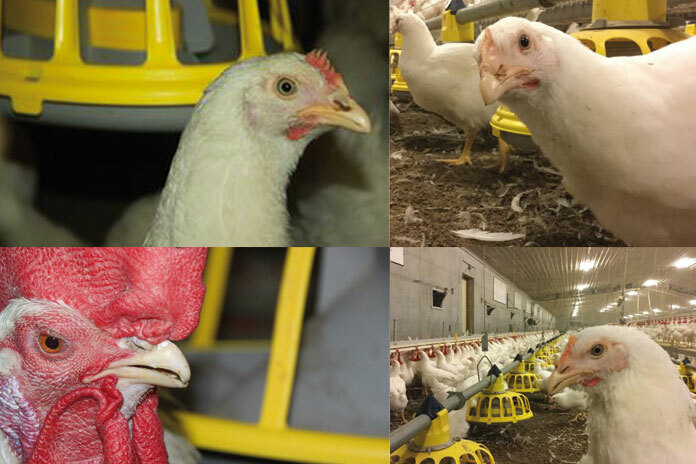 VALLI provides a wide range of products for laying birds from “A” frame cages for tropical climate countries, to manure belted systems with/without manure drying; Enriched multi-tier and Aviary systems to match the requirements of EEC welfare regulations. VALLI also supplies rearing in standard and aviary configuration, parent stock and broiler cages. CARE, DURABILITY, FLEXIBILITY, RELIABILITY and SERVICE are key concepts that deeply reflect VALLI’s approach. VALLI is pleased to welcome you at our stand E100, Hall 10. Since 1953 VDL Agrotech has been active in livestock industry developing and producing high quality equipment. The VDL Agrotech sales team welcomes you to visit them on booth B 47 in Hall 10 at the Space 2017. We are specialised in world-wide turn-key projects for broilers, breeders, pigs and manure drying technology. We would like to share our experience and ideas with you and combine them with your local demands and wishes. Victoria Srl, the leading manufacturer of high performance incubators in the Middle-East, Southeast Asia and Europe, has released their latest and most advanced incubator ever created – the VIC48. Developed using the most innovative materials and advanced technologies, it is able to reach new standards of production flexibility, efficiency and production load. The VIC48 has a market leading production load of 48,240/51,840 eggs, supported by eight incubating trolleys (6,030-6,480 eggs/layer). The introduction of new trolleys, with a more elegant and effective design, has improved the overall load by 30%+, while keeping the extremely high performance that has made Victoria’s machines a leader in the market. 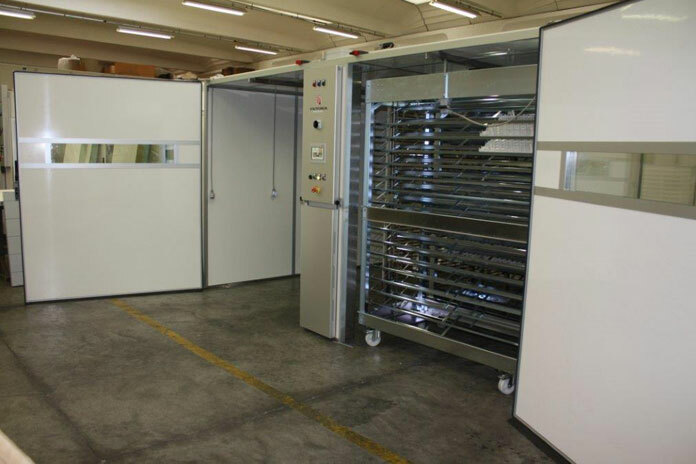 This incubator provides a perfect distribution of oxygen, humidity and temperature through a completely new ventilation system (made of 12 innovatively-designed blades) and an efficient system for trolleys. While achieving fantastic performance, the VIC48 is also able to optimise costs.The humidification system, which uses only pressurised water and not pressured air, generates highly energy savings. Visit us at Space 2017 stand nr. C73 – Hall 10. Vostermans Ventilation is conscious of the need to reduce energy consumption and continues to innovate their Multifan and EMI lines. 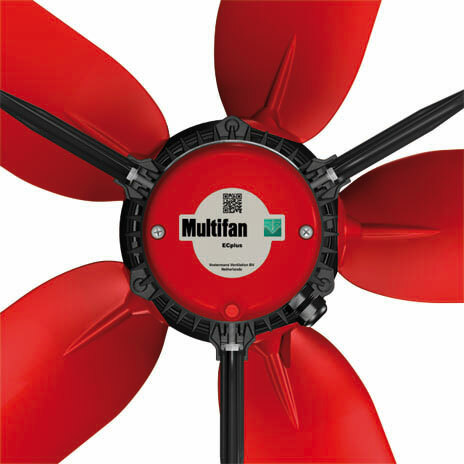 Therefore we developed the ECplus line for high energy savings that combines optimized motor-impeller combinations with ‘plug and play’ intelligent fan drive. Next to this we will show new energy efficient extensions in our product range and look forward to demonstrate to visitors of Space 2017 our ‘Ready for 2020 and beyond’ approach.